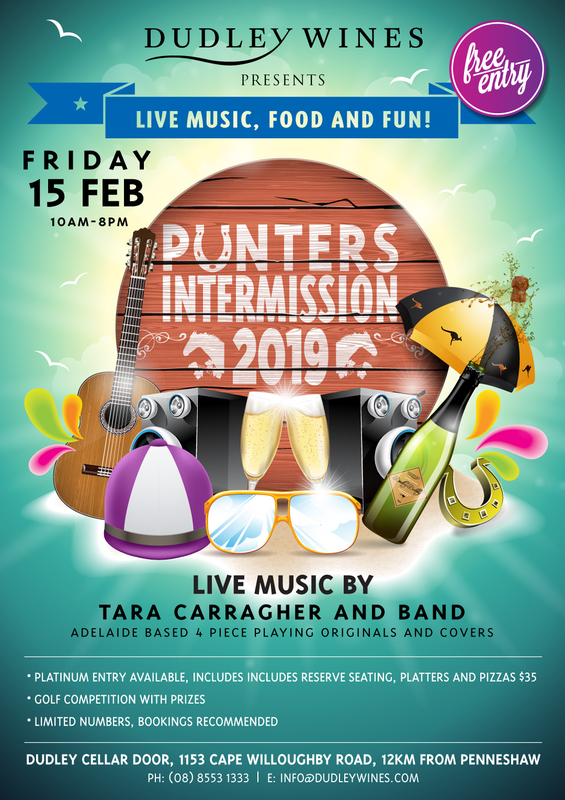 Extend your Kangaroo Island Cup Weekend celebrations and join us for our annual ‘Punters Intermission’ at Dudley Wines. Live music from 1pm by Adelaide-based 4 piece Tara Carragher and her band, playing folk originals and covers. Platinum Entry available (for groups of 4 or more), includes reserve seating, platters and pizzas $35pp, limited numbers, bookings recommended.